Some 50,000 migrants are currently stranded in Greece, following the Balkan strategy to shut borders in February to cope with the influx. 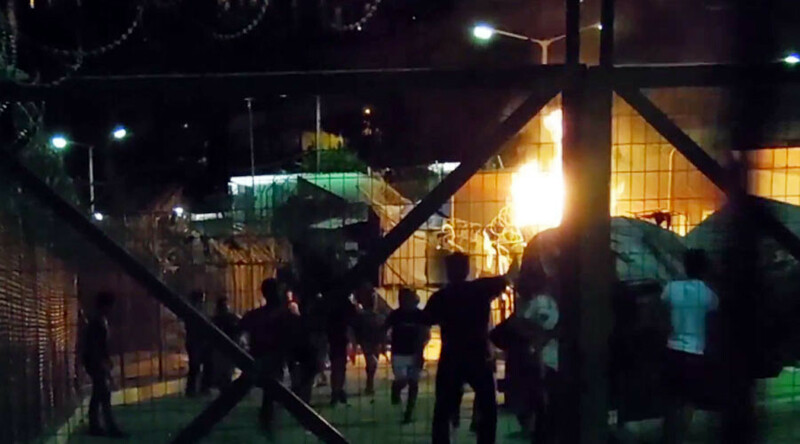 Poor living conditions and unclear rights have led to the Greek camps being criticized by rights groups and violent incidents among the migrants. More than 8,000 are currently stranded on Greece’s eastern islands following the March agreement between the EU and Turkey that would see refugees and migrants deported. However, deportations have been held back by delays and a sluggish screening process, which has also contributed to the violence. Greece is among several countries dealing with frustrated migrants starting trouble. France’s infamous Calais 'Jungle Camp' was recently set alight, with police having to storm the premises, after some 200 Sudanese and Afghan refugees started a fight during food distribution last Thursday. There was at least one person shot and several knife wounds. Dozens of injuries were registered among the police and the migrants. The camp was earlier demolished, but moved to Dunkirk by Medicins sans Frontier at the charity’s expense without government approval.